With his Nheap identity, Massimo Discepoli has earned a reputation for adding a distinct level of warmth to his jazz/post-rock tunes. It’s what enhances his past albums above other pretenders to the Tortoise throne, who are surely one of Discepoli’s main influences. ‘Origin And Water’ immediately puts the listener in a relaxed state. Not that this is a soporific introduction by any means. Yet the steady drums and Fender Rhodes accompaniment are the musical equivalent of visiting a friend or relative’s house and feeling at home straight away. There is definitely a pattern of track titles matching the mood of its instrumental piece thereafter. Exhibit A is ‘Wandering’ which – in its own mercurial way – weaves in and out of different key changes throughout its complex and fascinating arrangement. ‘Two Types Of Awakenings’ drifts between lovely nocturnal shadows and the final track ‘Recurring Dream’ is restless and hypnotic. Surprises tend to be few and far between but ‘Lost In A Leaf’ briefly suggests it’s turning into The Isley Brothers’ ‘Summer Breeze’, before settling into a familiar groove. On the debit side, as intricately performed they may be, ‘Primary Colors’, ‘Half-Asleep’ and the title track do err towards the noodly, background music trap which has claimed so many victims in this genre. Discepoli may have been known as a drummer by trade but here he once again demonstrates the beauty of multi-layered arrangements, with that all-important warmth still intact. 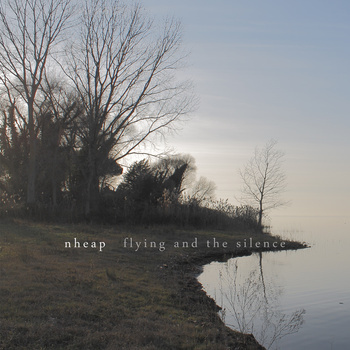 ‘Flying And The Silence’ isn’t quite as addictive as 2009’s excellent ‘Skymotion’, with a few tracks not quite hitting the mark. That said, Discepoli firing on all cylinders half the time is better than some of his compatriots manage in a whole career.